Taiwan's unemployment rate edged down in May to its lowest level in nearly five years, the government's statistics bureau said Monday. The jobless rate in May was 4.06 percent, 0.01 percentage points lower than in April and the same as that recorded in July 2008, the Directorate General of Budget, Accounting and Statistics (DGBAS) said. On a seasonally adjusted basis, however, the unemployment rate for the month remained unchanged from April at 4.19 percent and stood at 4.18 percent for the first five months of the year. 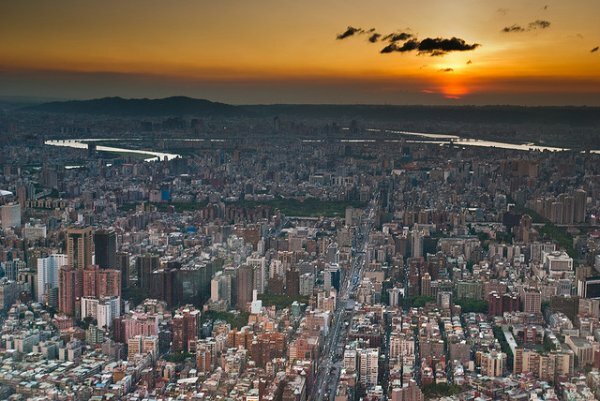 Taiwan had a jobless rate of 4.24 percent in 2012, and the government was hoping to get it below 4 percent this year. But anemic growth of 1.67 percent in the first quarter and projected 2.40 percent growth for the year could make that goal difficult to achieve. In May, 463,000 people were out of work, down 1,000 people from April, according to DGBAS data. There were 2,000 fewer people who were unemployed in May than in April after quitting their jobs and 1,000 fewer who were first-time job seekers, the statistics showed. In contrast, the number of people who lost their jobs due to seasonal factors or the termination of temporary job contracts increased by 1,000 from April, the DGBAS said. Chen Min, deputy director of the DGBAS's Department of Census, said fewer first-time job seekers were jobless in May because several domestic companies have been recruiting aggressively on local campuses since March. In May 2012, Chen said, the number of unemployed new entrants to the job market rose because of Taiwan's uncertain economic prospects, but a similar trend was not evident this year. "The downward trend seen this May indicated that the job market has become more stable," Chen said. Asked about the possibility of the annual jobless rate falling below 4 percent this year, Chen said it depended on whether the economy picks up in the second half of the year as forecast. "It remains difficult at this moment to predict how large the decline in the unemployment rate in the months after the summer will be. A steeper fall in the fourth quarter would help realize the goal of driving the annual jobless rate below 4 percent," Chen said. On public concerns about rising unemployment rates among young adults and tertiary degree holders, Chen said that only the 20-24 age group's jobless rate increased in May as compared with the year-earlier level, while those for other age groups and people with advanced degrees fell. According to DGBAS data, the unemployment rate for the 20-24 age group stood at 12.74 percent in May, down 0.3 percentage points from April, but up 0.55 percentage points year-on-year. The unemployment rate for the 25-29 age bracket edged up 0.08 percentage points from April to 6.95 percent in May, but slid 0.07 percentage points from the year-earlier level. The jobless rate among tertiary degree holders was 4.96 percent in May, down 0.06 percentage points from April and 0.09 percentage points lower than that registered a year ago. Taiwan's jobless rate in May was similar to that of Japan (4.1 percent) but higher than that of Asian rivals Hong Kong (3.4 percent), South Korea (3.1 percent), and Singapore (1.9 percent), the DGBAS said.